As you have probably noticed, I have been slowly making my way through The Sound and the Fury on the blog. It has been a tedious and slow slog through the book, in the best of ways. It’s the very first Faulkner book I’ve read. I’ve only read his short stories in the past, which have been much more manageable. I have been reading all of the tips and hints about how to read Faulkner that I can get my hands on, and I think I might be sharing some of those tips with you soon. Today I wanted to think a little more about the meaning behind the title of the book. The more I’ve thought about it, the more fitting this passage is to set the scene for The Sound and the Fury. The Sound and the Fury opens with Benjy telling us the story of the Compsons when he was younger. Benjy is mentally disabled, literally full of sound and fury because he is unable to communicate through speech. This passage reminded me of Dilsey in the fourth section. Dilsey is convinced that she has seen the end of the Compson family, and repeats throughout the section that she’s seen the first and the last of the Compsons. Although I’ve never read Macbeth, I know that Macbeth is a tragedy about the rise and fall of Macbeth and his family. If you, unlike me, got the Shakespeare reference before starting the book, you would have known that Faulkner’s book is also a tragedy. Finally, I’ve read some essays online that argue that Quentin’s mania in section 2 of the book mirror Macbeth’s soliloquy in Act V. I’ll have to read the play myself before I can see what I think, but I thought this might be an interesting tidbit to point out. 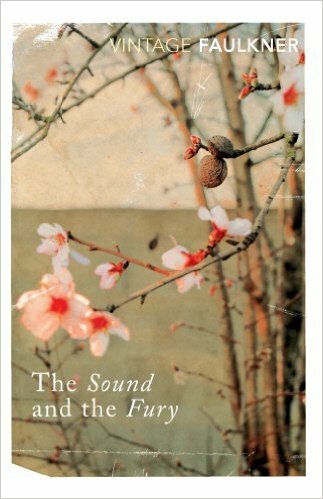 Have you read The Sound and the Fury? What did you think?